Last year we were hired by a CEO to assist his executive team with the goal of improving their collaboration. At the first meeting the CEO told us that the members of the team were very skilled, but they were not effective at all when it came to the way they worked together. The reason was that several of them refused to collaborate. And by now the situation had escalated to total misery. It was difficult to meet in the same room at the same time. Even going out for dinner to celebrate their wins was totally out of the question. No wonder the CEO was a little stressed about the situation. It would be easy to conclude that the CEO had done a bad job when choosing his team members because of their somewhat obvious lack of social skills. But that is too simple an explanation. It did not start out like this. The situation developed over time. 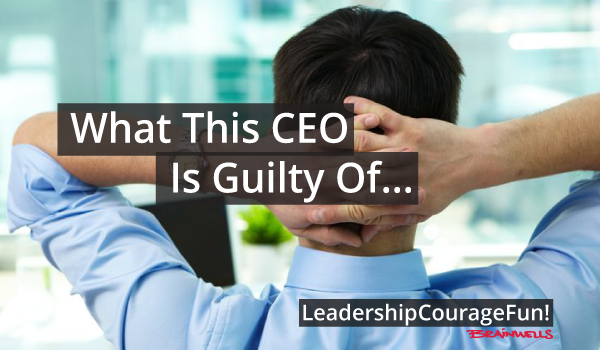 What the CEO was most guilty of was not acting earlier. But when we got our chance to address the issue, we knew exactly where to start. We'll share the tips we gave the CEO because most of us need this reminder to lead a good team. No matter if we run a smooth or mal-functioning team. Just remember these three factors, and you will come a long way. No matter what it feels like, or what the other members of the team think, it is always YOU who define what you expect of your team. Of course, feel free to involve them in the process and get input on what they'd like. But it is you who hold the final say. That's your job. Remind them about this, and let them know that you are up for some changes because you are not satisfied with status quo. In order to have a strong and powerful team, each member needs to accept the fact that the value of the team is more important than the individual member. Easy to say, we know, and most people agree to this, but it is sometimes difficult in practice. 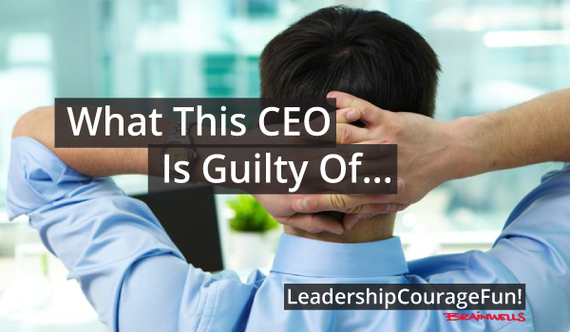 As the CEO, it is your responsibility to remind your team of this whenever needed. But not only that, if you learn methods and processes and how to facilitate you will ensure you utilize the collaborative power they behold. If this is outside your comfort zone or out of your reach due to time/place restrictions, you should consider appointing someone else to facilitate for you. But remember, you're still in charge. We're often met with the argument: "The reason why our team is not optimal is because some of the members do not like each other." It is not mandatory to like your teammates. And we shouldn't be afraid if people have different preferences and can't cope socially. However, you need to make sure everyone trusts and respects each other. It is your responsibility as a leader to build trust in your team, and the easiest way of doing this is through collaboration and solving challenges at hand. Together. 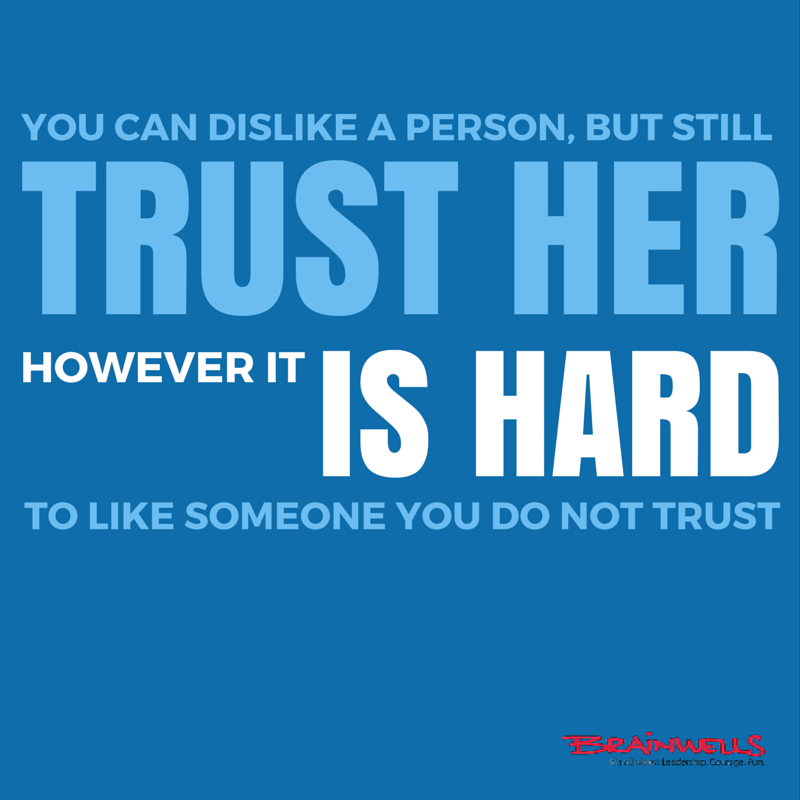 "You can dislike a person, but still trust her. 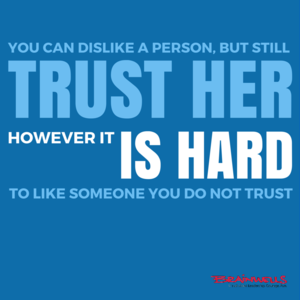 However it is hard to like someone you do not trust." A strong team does not materialize overnight. Every team, no matter how team-oriented each member is, needs to practice on working together. The more matters you solve together, the better you get. Avoid executive meetings where the only thing you do is just do updating and reporting. Bring in a challenge or two, and work on how to solve it together. Not only does this build a stronger team, but it also brings you forward, and often it ends up being quite... (you'll never guess) FUN! Final note: You should know that even if though this was an extreme case, we do see executive teams like this all the time. It is not because they do not like each other, but because they do not use the full potential of their collective powers. They meet on a regular basis, and spend their time reporting things to each other, and at best get some new action points assigned. The executive team is not just a group of people. It is a highly skilled, trained, and experienced collection of individuals that TOGETHER create a powerful force for the company. Make sure you utilize this power for the greater good. This blog post is also published in the blog LeadershipCourageFun. It is written by Kristine Maudal and Even Fossen, founders of Brainwells and creators of the online leadership program FutureLeadershipNow.